It is the largest housing venture of Defence Housing Authority spanning over 20000 Acres of land located on Karachi-Hyderabad Super Highway at a distance of about 35 KMs from Jinnah International Airport. The project has been superbly planned with a visionary approach to make it a resident friendly city in terms of provision of healthcare, education, and family entertainment. Moreover, a horticultural component has been incorporated to make DCK a green and healthy city. It is developed as a planned, sustainable, green and smart city of Pakistan. The housing scheme offers an ambiance of modern, secure and comfortable living to its residents. The ongoing fast track development with institutionalized strength, international level master planning, provision of world-class amenities and globally recognized sustainable status of DCK are some of the remarkable features that give an international stature to DCK. Over the years, DHA has made some remarkable interventions in DCK which has given a new dimension and an added value to the project. 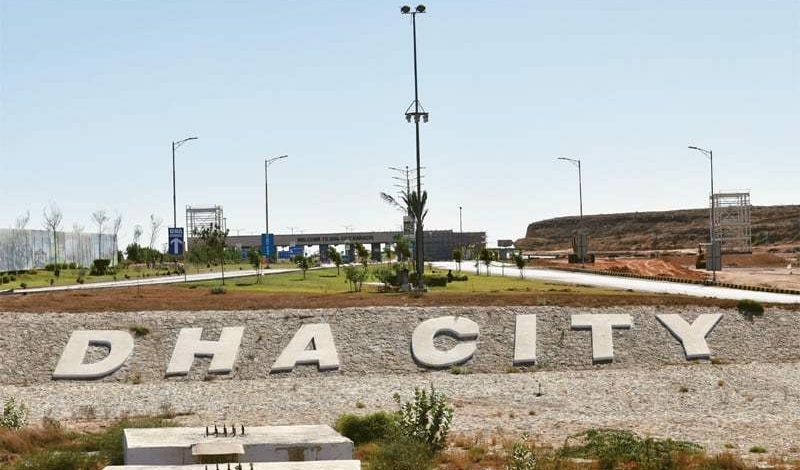 DHA Oasis consists of Ready Farmhouses of 2000, 2500 and 3000 Square Yards in DHA City Karachi (DCK). A complete living unit with 3-4 spacious bedrooms, modern kitchen, swimming pool. barbeque area, beautifully landscaped lawns, etc.